Your new, cheaper alternative to calling a cab is Lyft, an on demand ride service that launched here in Seattle back in April. The community standard of pink mustaches on drivers and fist bumps between customers is sweeping the nation and soon the globe. If you need a ride to Century Link Stadium to see the NFL’s number one ranked Seattle Seahawks play or catch the Seattle Sounders defeat another MLS opponent, or need a lift home, Lyft is your fun and cheap friend that can make it so. If you find yourself in a bind or simply want a different experience than the crowded Metro bus line or expensive Yellow Cab and you can’t afford a limo, try Lyft. Us Lyft to get to Mariners games at Safeco Field, WNBA games at the Seattle Center Key Arena, or coed softball games at Woodland park . College students, alumni and fans needing a cost effective transportation option to get to Husky Stadium so you can admire the $280 million renovation are in luck, all you have to do is open up the Lyft smartphone app and make it happen. You can download Lyft for Android here and iOS here. Seattle was their third city launch after L.A. and S.F where the corporate HQ is located. The first ‘staches traveled up to Queen Anne, went back to Capitol Hill, hit the Downtown and Pioneer Square areas, ending up at the world famous Pike Place market. The Lyft service is available seven days a week, opening at 7am on weekdays and 9am on weekends. If you see it is raining, or do not want to drive in the night fog we have been having the past week, request a Lyft until 1am on weekdays and 3am on Friday and Saturday nights. Rides can be requested within a five by five mile zone around Downtown Seattle and have since expanded to 85th street. The Sports Techie corporate HQ in Ballard is just a bit too far away to use this novel service. Donations for Lyft rides are processed entirely through the app, and are completely cash-free! When you log into the app for the first time, you will be asked to input your credit card information. If you ever need to change the credit card you have on file in the future, tap the menu button in the upper left corner of the app screen, hit “Payment” in the main menu, and enter your new credit card details. Once a ride is complete, passengers will be prompted with a donation screen within the Lyft app. The suggested donation amount displayed is voluntary, so passengers have the ability to adjust the donation before submitting it. If you want to show your appreciation for a great driver, go ahead and hit the pencil icon and tap “+” to increase the donation! Criminal background and DMV record checks on all Lyft drivers. Extensive and involved recruitment driver process, including in-person screening & vehicle inspection. $1 million per-occurrence excess liability insurance. Strict zero-tolerance drug and alcohol policy. 5-star rating system for community drivers and passengers. You can become a Lyft driver by downloading the app and completing the five step application. You are required to have insurance. Photos are used to help identify and for safety purposes. The GPS driver icons let you see on the map where the driver is in real-time. A brand new feature was added to the latest version of the Lyft app. Users can now switch between credit cards and use them for work, recreation activities and entertainment time. The new option allows for up to three cards under “Payment” to be labeled making it easier to remember which one to use. If you forget to swap cards before you request a ride, it is simple to switch on the donation screen after your ride ends. 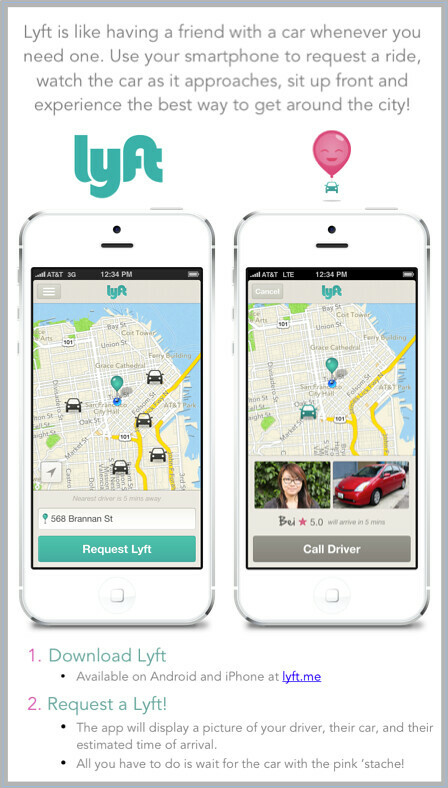 An investment by Andreessen Horowitz allows Lyft to expand to cities all over the planet. Add this money to the initial Founders Fund and it gives them enough resources to strengthen existing Lyft communities and build new ones such as the Orange County, CA, launch today. Read the fine print. This is a donation based service, should you finish your ride and forget to let the app understand within 24 hours how the arrangement was fulfilled it will default and you will pay full price. 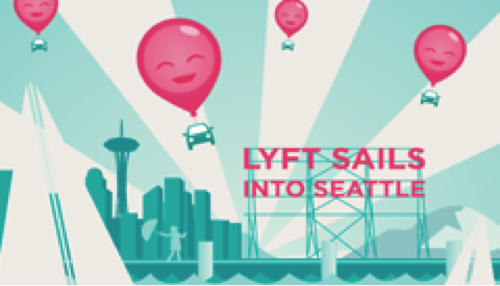 Our gratitude goes out to Lift for offering our readers a $20 Lyft credit with the code SOCIALSEA. Share the experience with hashtag #LyftLove. Sports Techie, No matter where you are, Lyft will soon be there to increase your transportation options. The company feels like their unique platform will convert you to a regular because of the massive savings, ease of use and downright adventure with each ride. Remember, while Lyft is a pet friend company, it is up the drivers if they want to deliver dogs. This post was created in partnership with Lyft. Use my code SOCIALSEA for $20 credit! I plan to use Lyft once the on demand ride service once they get near my place or should I be in in the downtown Seattle area. Let our sports technology centric community know if you have used Lyft in your city and what you think of them, as a blog comment or via any of our social media network links below.